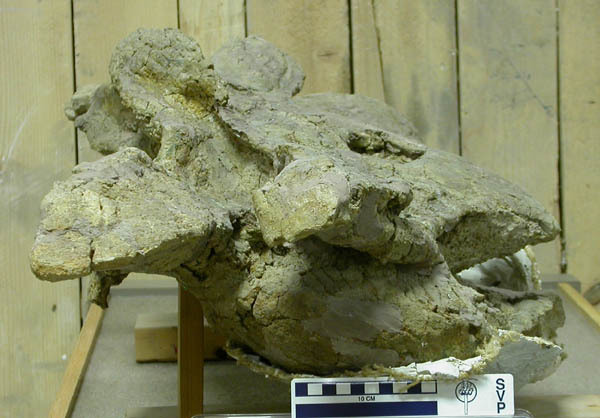 Here’s BYU 12866, a mid-cervical of a neosauropod from Dry Mesa Quarry. It’s cataloged as Brachiosaurus, an identification I’ve never found any compelling reason to doubt. It’s definitely brachiosaurid, and for now Brachiosaurus is the only game in town for the Late Jurassic of North America. I expect that will change when more and better material comes to light, based on the different coracoid shapes of the Brachiosaurus holotype and the “Ultrasauros” scapulocoracoid. I reckon it’s probably a C5 or so, based on its proportions and comparisons with Giraffatitan (for example). As you can see, it’s a bit distorted, sheared over with the dorsal side to the right and the ventral side to the left. 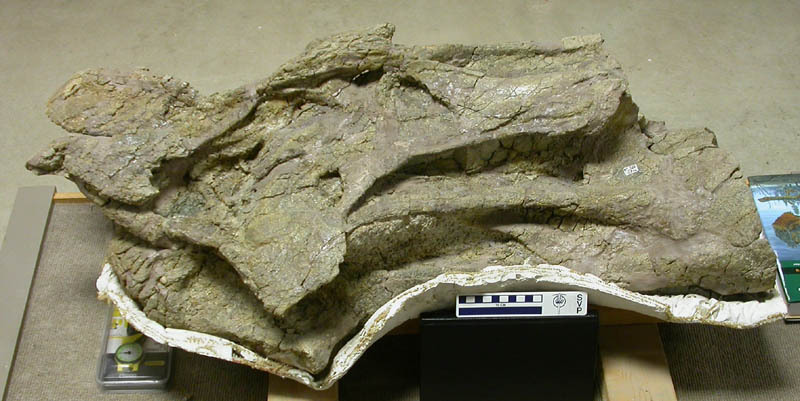 I don’t think there’s any major anterior/posterior shearing – the zygs are set forward of their respective centrum ends by about the same amount in this specimen as in Giraffatitan. Kent Sanders and I CT scanned this vert back in the day and those scans made it into several papers, including Wedel et al. 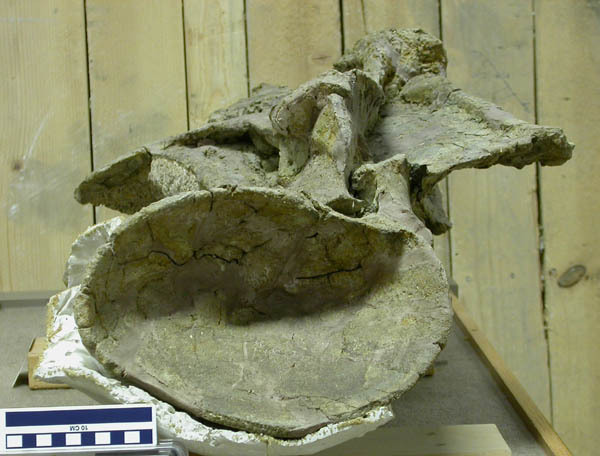 (2000b) on Sauroposeidon and Wedel (2005) on sauropod pneumaticity and mass estimates. I have the original, uncropped, full-res photos, and I’ll probably get them posted at some point (faster if people bug me to do so, so speak up in the comments if you want them). But for now I’m sticking to getting stuff posted quickly, easily, and regularly, and I found these as-is on my hard drive, so here we are. “I have the original, uncropped, full-res photos, and I’ll probably get them posted at some point (faster if people bug me to do so, so speak up in the comments if you want them)” – looking forward to seeing these, Matt.